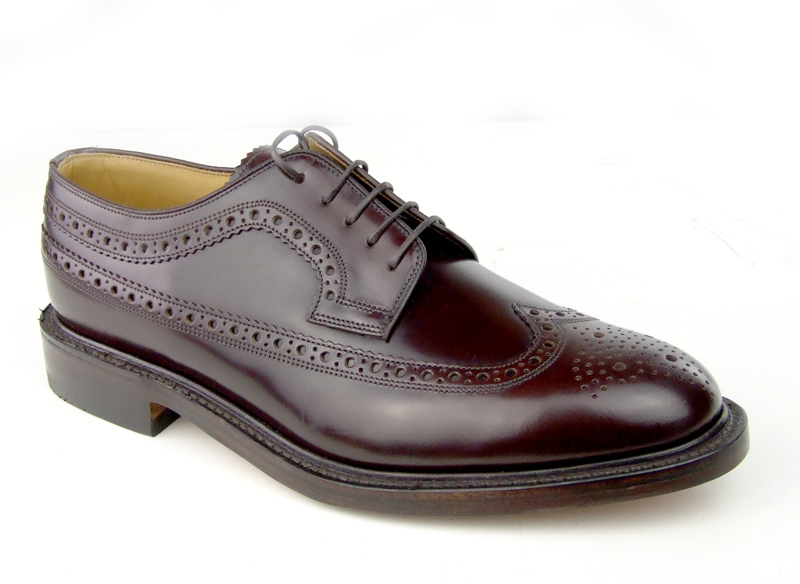 Classic full brogue shoe, The Loake Royal Brogue in Oxblood, made in England. 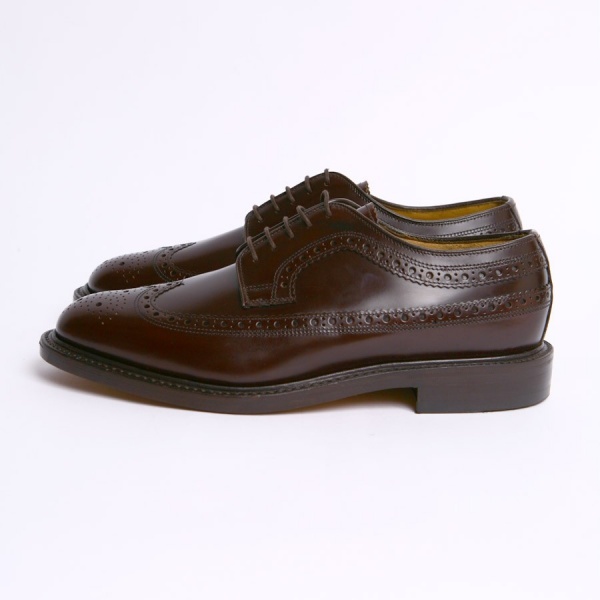 These shoes are a classic Brogue. 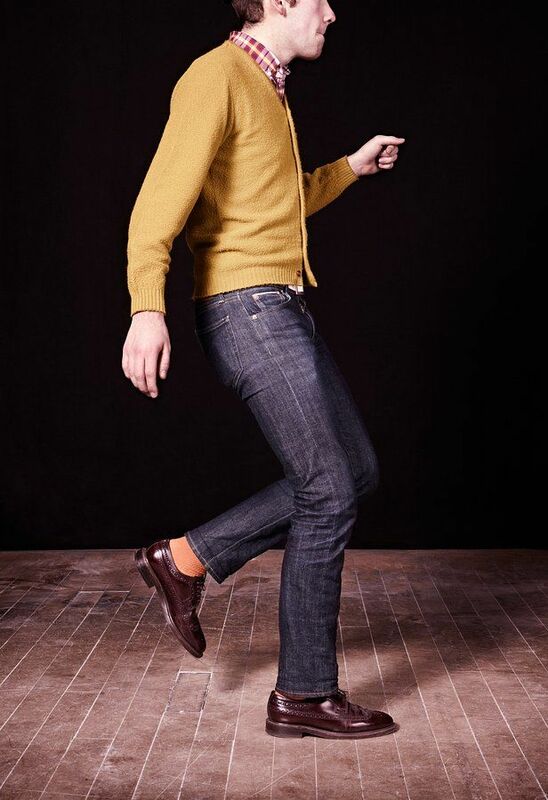 This particular style with the ‘wing back’ have been fashionable with both MODS and Smart Skinheads. 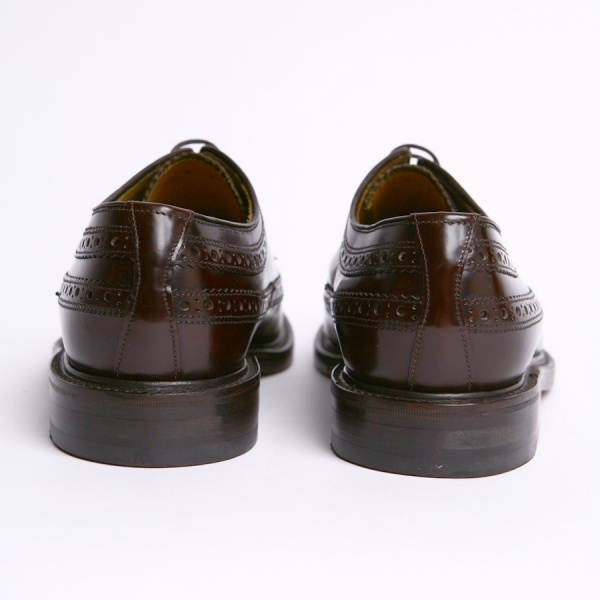 In some skinhead circles the refer to this style as a ‘Royal’ rather then a Brogue, or ‘Royals’. 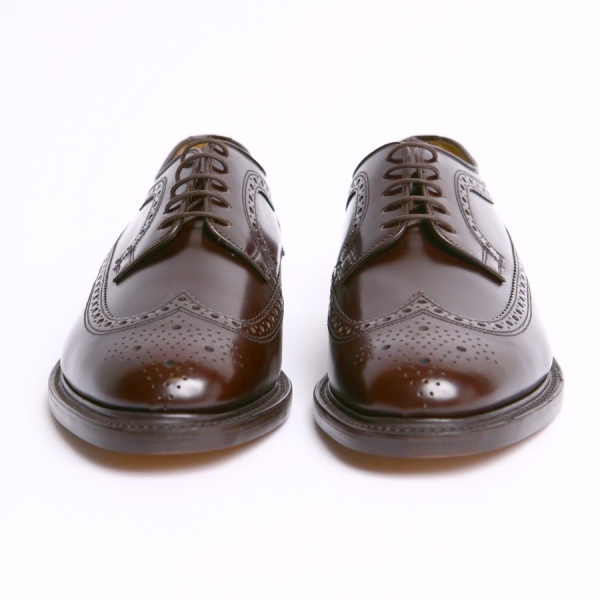 The brogue part extends to the back of the shoe, making it a full brogue. This particular shoe i have seen at many events. They are great for dancing in. 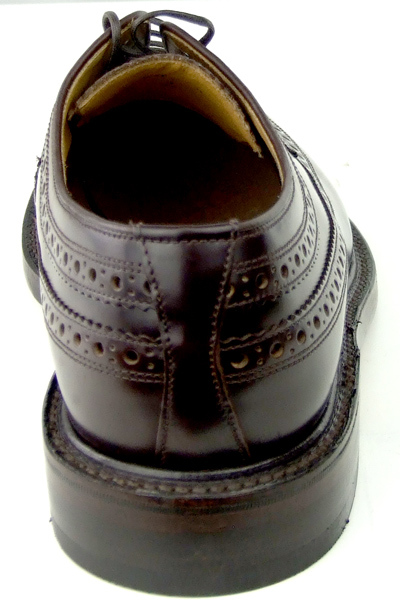 The leather sole glides around the dance floor. 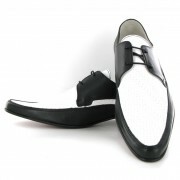 I wore a pair to recent Stoke Northern Soul Allnighter and they was great. 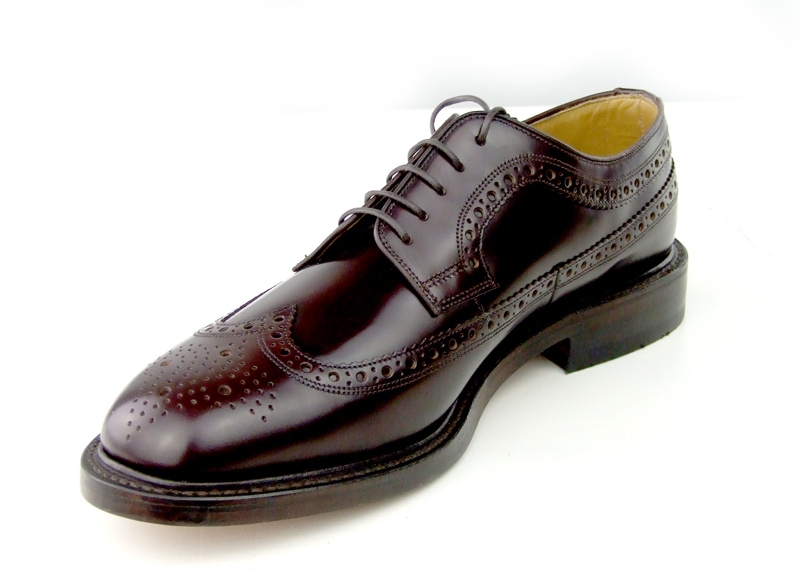 The shoe itself is a very solid, meaning that it is sturdy and going to loast a long time if looked after. 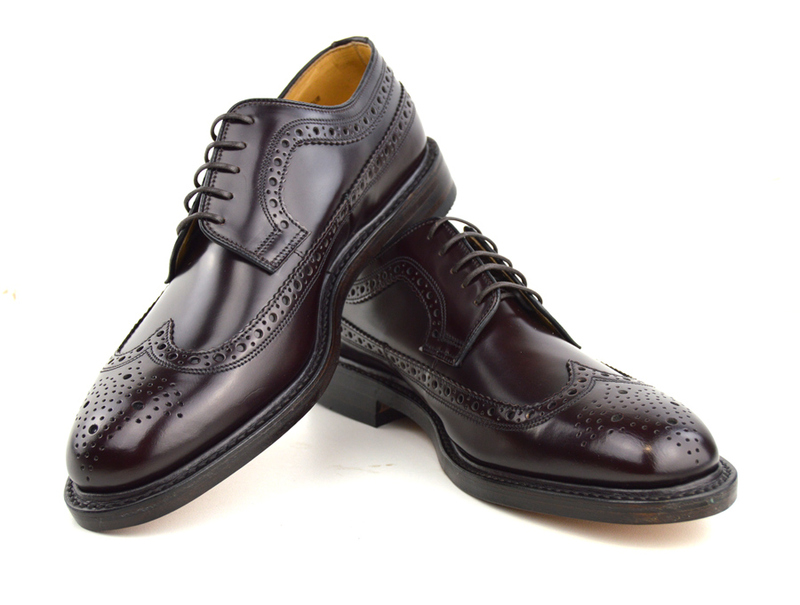 The Loake Royal Brogue in Oxblood looks great with Jeans, Trousers and Suits. 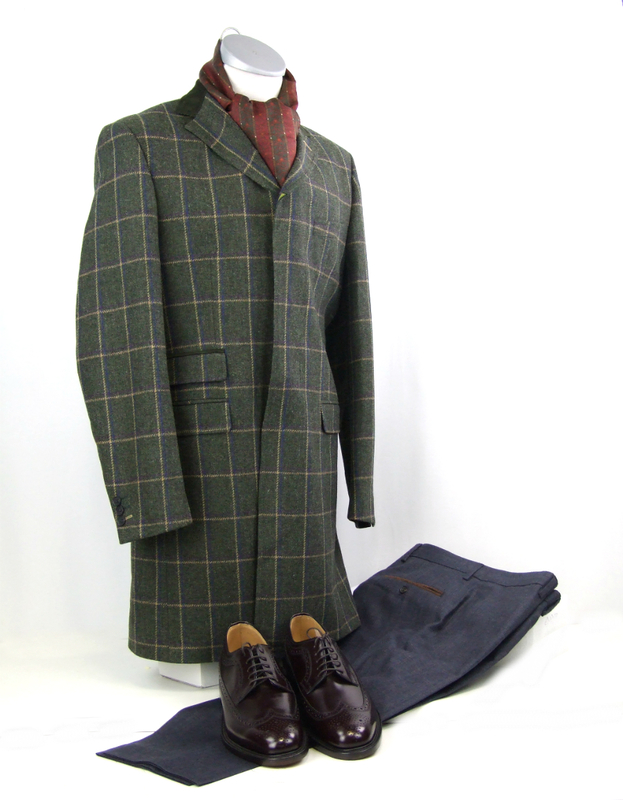 Smart enough for evening wear, but equally great with jeans down the pub. Toro Clyatt These are definitely the brogues to own! True,they are a bit heavy and will take some time to break in,but with proper care,they will last and look good for decades.Warren Peace’s analysis is SPOT ON. VERY “versatile,stylish,and worth investing”. 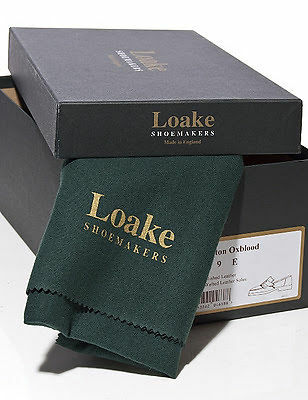 What I like about Loakes also is there sturdiness – the soles,the way they extend,surround,throughout the shoe. The loooong wing styling is also very nice. 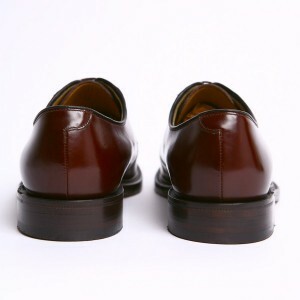 They may not be for everyone,cos’ some blokes don’t like shoes that feel heavy.That ‘heaviness’ says quality to me;such standard quality and style that they are known by only one name, Royal. Bought these as a birthday present for my other half last year. He is reliving his Wigan Casino days and regularly attends Northern Soul functions. He LOVES these shoes! I have to admit they look absolutely great. Absolute class. sheer comfort and style for any occation ( ok not great with shorts in the summer and wouldn’t recomend for snow and ice ).These shoes make you feel special and definately dont go unnoticed from anyone who knows about footwear. 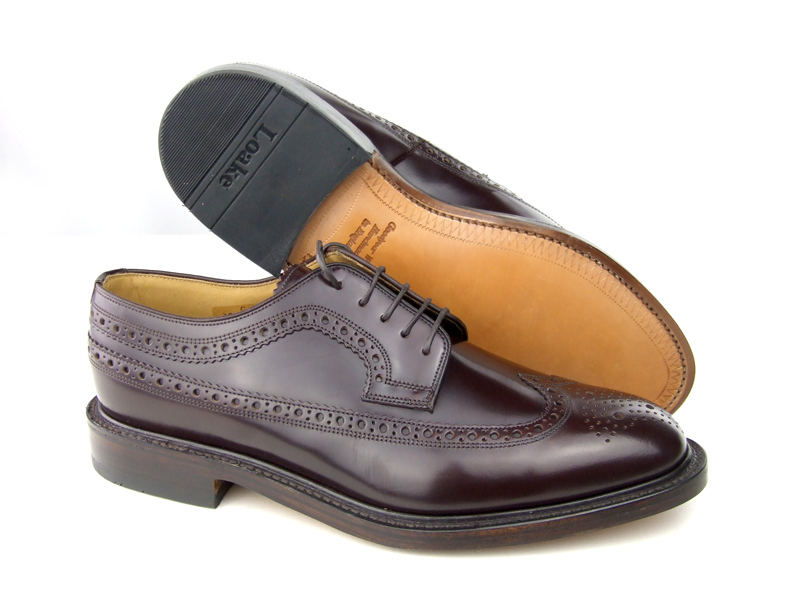 Extremely pleased with these shoes, great fit, look really smart. Brilliant service. Delivery was within two working days, ordered Saturday evening delivered Tuesday – how can you fault that? The cleaning kit supplied was a nice touch. Bought these and a pair of black Derbys last Xmas and both pairs are as good as, if not better than, identical shoes I bought in the iconic Ivy Shop in Richmond in the 70’s. They lasted 40 years and these new ones will outlast me. Beatifully made timeless classics that feel great and get noticed. 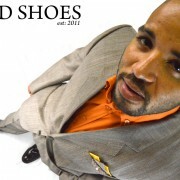 Great site, great shoes, great service! Swithered (good Scottish word) long and hard about paying £160 for a pair of shoes. However – no regrets whatsoever !!! Stunning shoes. Colour, quality, fit. Love them. Just THE best. These shoes are absolutely great. 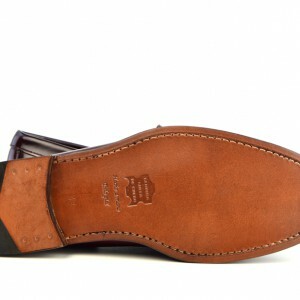 They are definitely built to last and the leather looks high quality, unlike most high street brands. The colour is really unique, a very dark moody burgundy. They look great, formal or casual. 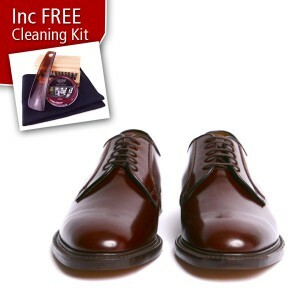 Great fit and a free cleaning kit included. 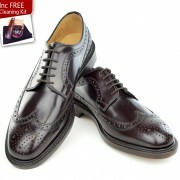 Do not be put off by the price, its nothing, these shoes will last for years and years. Service from Mod Shoes was great also, adding a personal touch not seen enough today. Cannot recommend enough! Finest shoes I’ve ever bought. Quality, fit, colour, look – just everything !!! Never spent that much on shoes before, but don’t regret a penny. The biz !!! As a south Essex teenager in the early 70s nearly everyone I knew wore some variety of skinhead/suedehead fashions – Ben Shermans, Sta Prest, tonic, Crombies etc. Loafers, Solatios and brogues (with Blakeys or quarter steel tips of course) were the footwear of choice. 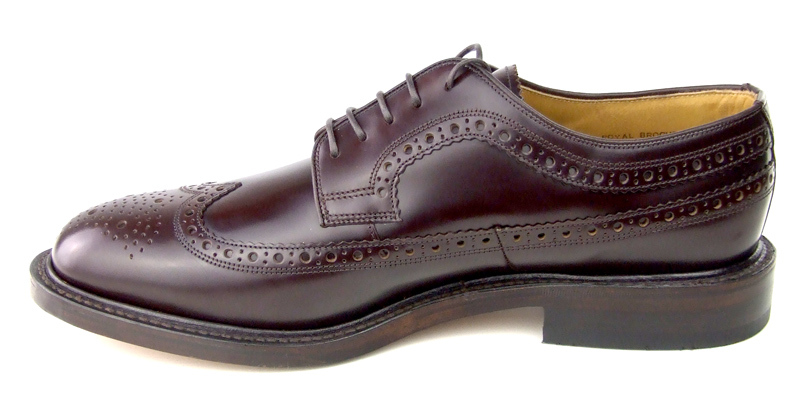 I always loved brogues but could only afford cheap rubber-soled versions – and you couldn’t get those in the ‘long wing’ style that was so distinctively special. The creme de la creme – Royals – were well beyond the reach of my pocket money and paper round. 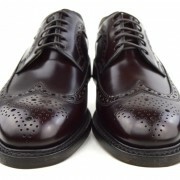 Over forty years later I have finally bought a pair of beautiful oxblood Loake Royals. I was a bit concerned that they wouldn’t live up to my decades of expectation, but I needn’t have worried. They are built like a tank but fit like a glove and, of course, they look fantastic! 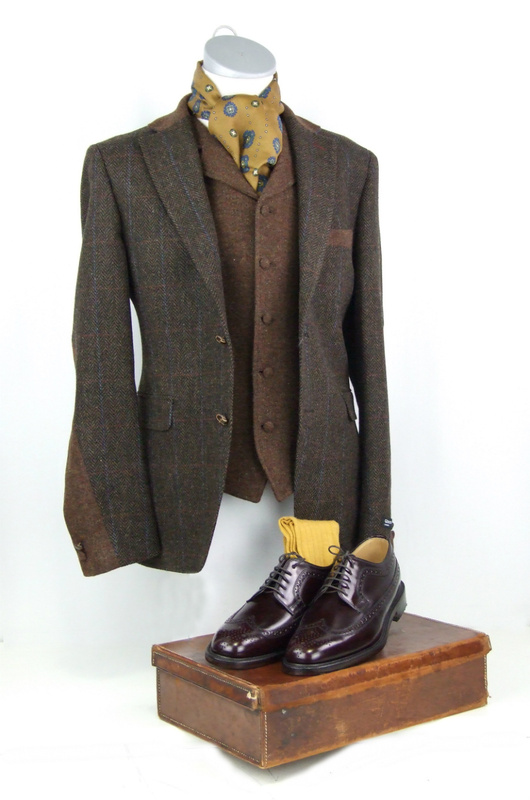 Whatever you wear them with – jeans, chinos, trousers, suits – you name it, they look great. Definitely the most versatile shoes I’ve ever owned. 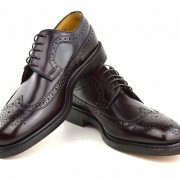 And in the few weeks I’ve owned them I’ve had loads of compliments about my classy shoes. 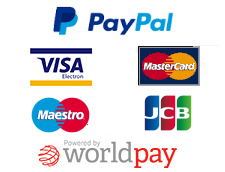 Don’t think twice about the cost – they are easily worth it. I just know I will be wearing mine for many years to come and feeling slightly regretful for all those years that I didn’t have them. Received these this morning, swift delivery. I am more than happy with these Royals, they really are worth every penny. 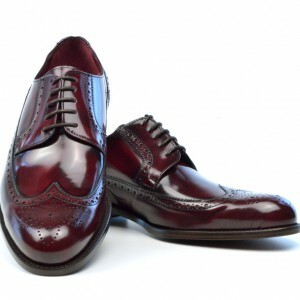 Beautifully made, and lovely oxblood colour. Had a pair of these in the early 70’s, best shoes I’ve worn, so stylish, these shoes will last forever, many thanks for the excellent service. 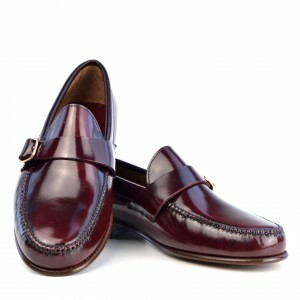 I need to start saving for a pair of Loakes loafers next ! Cheers modshoes, from a very happy customer !! These shoes are the bomb! 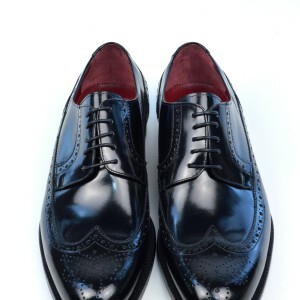 Bought them as an accompaniment to my beautiful bespoke suit and they match beautifully. Not just the suit, but with jeans as well. Not just that, but with some chords and a tweed jacket. The best, most versatile buy I’ve ever made, and British to boot! Ignore the price; you’ll forget it as soon as you realise what you have on your feet and how smart they look. Great shoes, classy and sturdy! Bought a pair of these beauties earlier in the year. They go with anything (well apart from shorts maybe). Great service from Modshoes. My next shoes will come from here too. 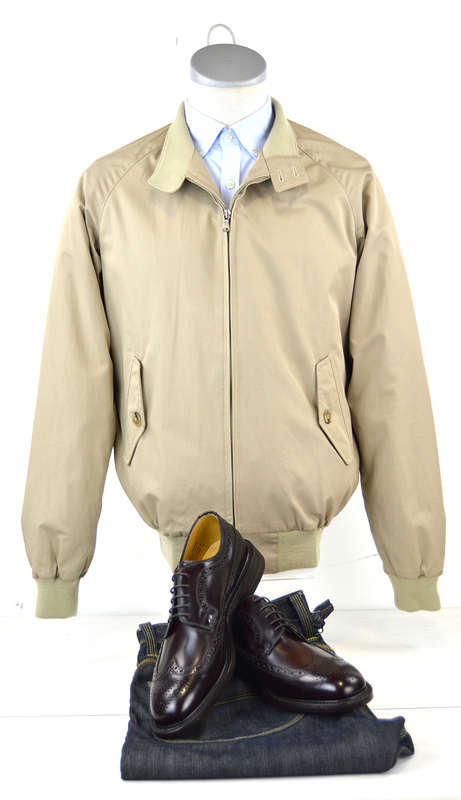 Did mods wear these in the 60s? I thought Loakes didn’t start making Royals until the 70s but I could be wrong. Whatever! 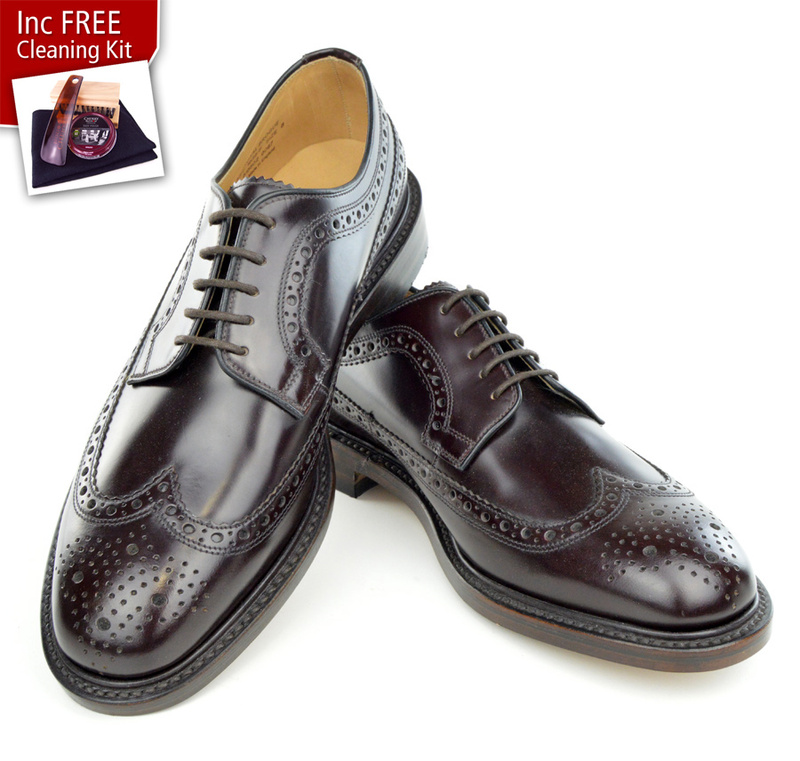 These shoes are worth every penny – very well-built and elegant, and also very comfortable. 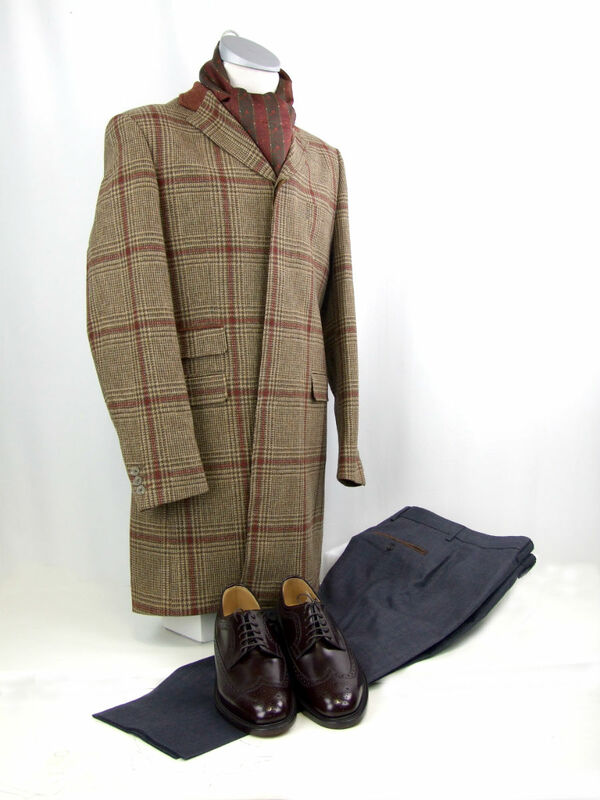 Look good with a suit or smart trousers but also go well with jeans or sta-prest. 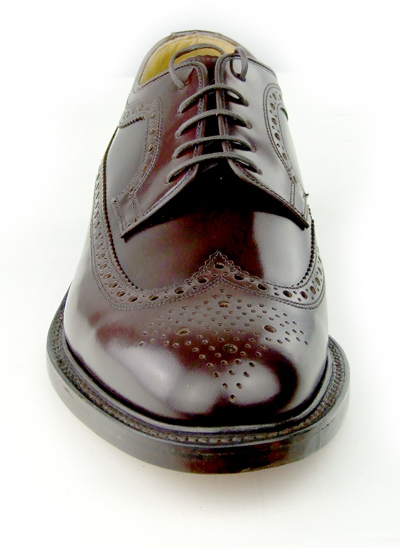 Nice heavy sole which can be resoled as needed. These shoes should last for years. I read somewhere that they’re called ‘Royals’ because Prince Philip wears them. I can just see him tapping his toes to ‘Liquidator’ in the terraces. Given his naval background he must be either a Pompey or an Argyle fan but hopefully not both at the same time! 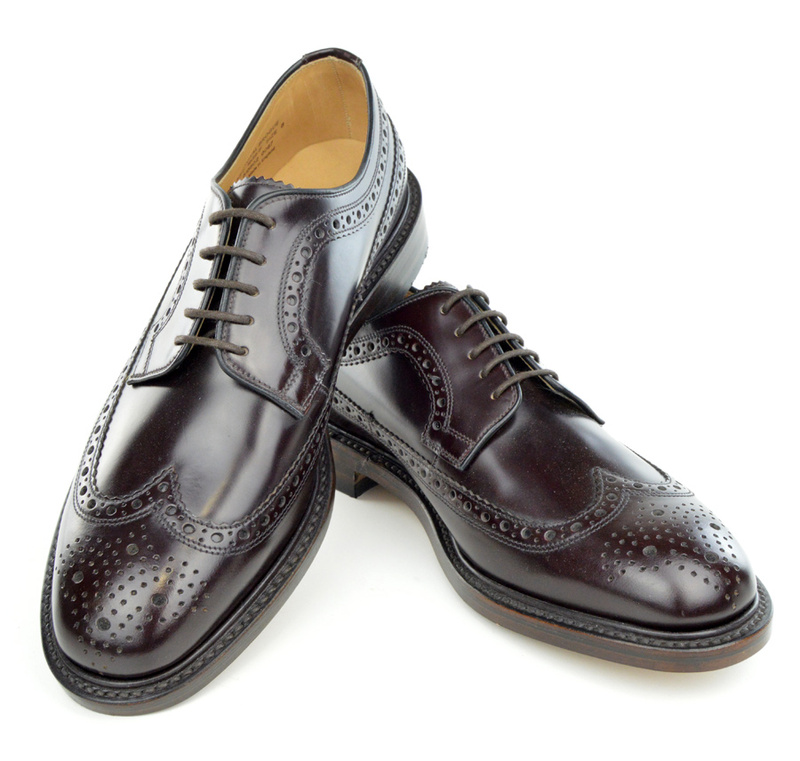 Americans call this style of longwing brogue ‘English’, whereas over here they are known as ‘American’. 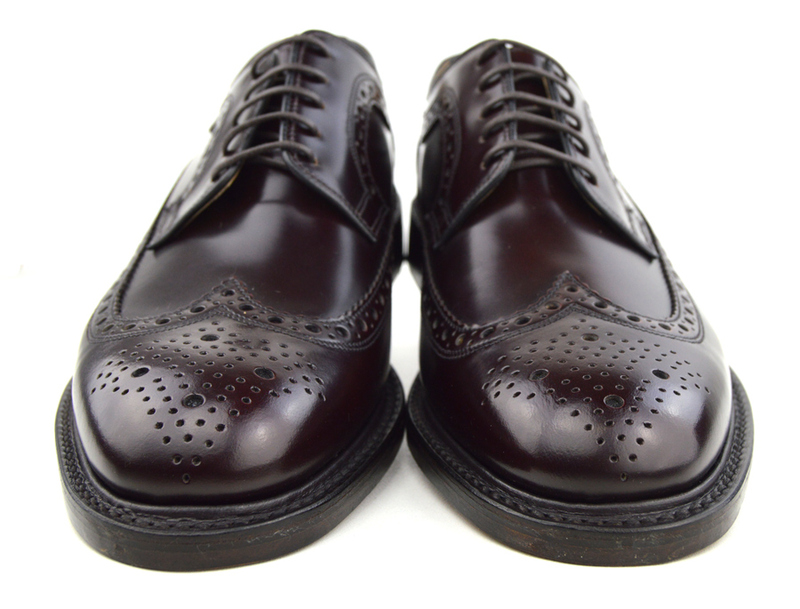 The beauty of them is that only other mods are likely to spot them – to the uninitiated they’re just brogues but some of us know better! 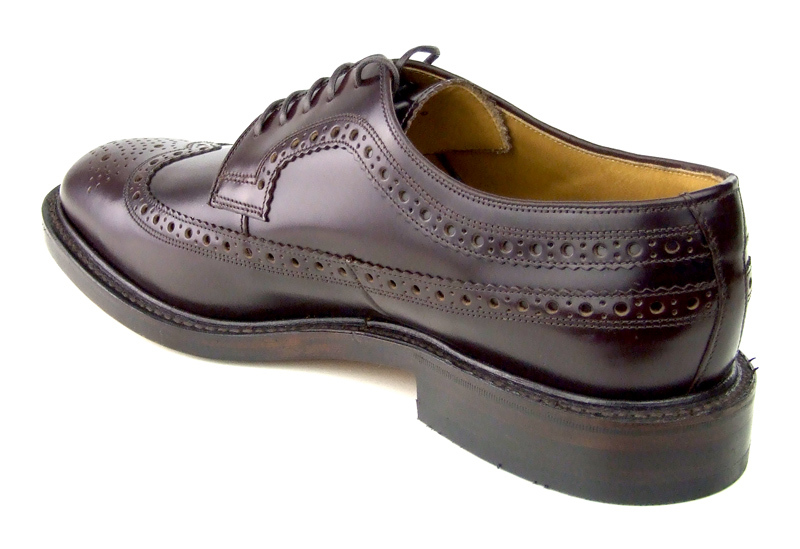 re-reviews,steve temple-june 18 2016.for part of the 60s,we were in hush puppies.just ordered my Loaks royal oxblood brogues just in time for the Ribble valley mod fest.between 500/600 scooters coming down the A59 from Gisburn to clitheroe saturday 1pm.get to clitheroe for mod groups performing in loads of pubs. OMG ! Beautiful shoes … worth every penny. Being in my early sixties and a former regular customer of The Ivy Shop in my youth I have always wanted another pair of ‘Royals’ …. The help and service over the phone was second to none , as they had to be delivered to a friend within 24 hours so he could bring them over to France .They arrived 10am the next morning ! Cleaning kit consists of everything you need … even a shoe horn . 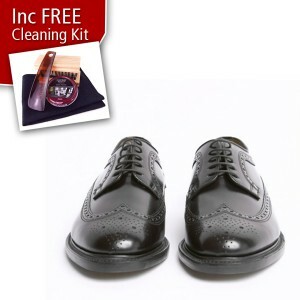 Like all quality items the way the shoes are packaged screams out that these are top quality shoes . It’s a shame they don’t do oxblood ‘Plains ‘ …. Very pleased . A classic shoe that will never go out of fashion . 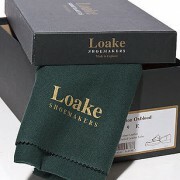 I ordered Loake Royals in the wrong size to start, they were changed for the right size no fuss. Everyone happy. 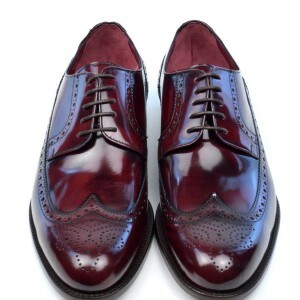 Oh yes, over the moon with my Oxblood brogues. I used to buy Royals and ‘Plains’ from the Ivy shop in Richmond .. I still remember lending my best friend £9 so he could buy a pair !! (1969 /1970 ? ) . I was a bit nervous of ordering these shoes as I live in France and a return would of been difficult (and people were saying that the size is a bit on the large size … but they were a perfect fit )….. after a few months I still get them out the box — just to admire them ! They look great and are worth every penny . 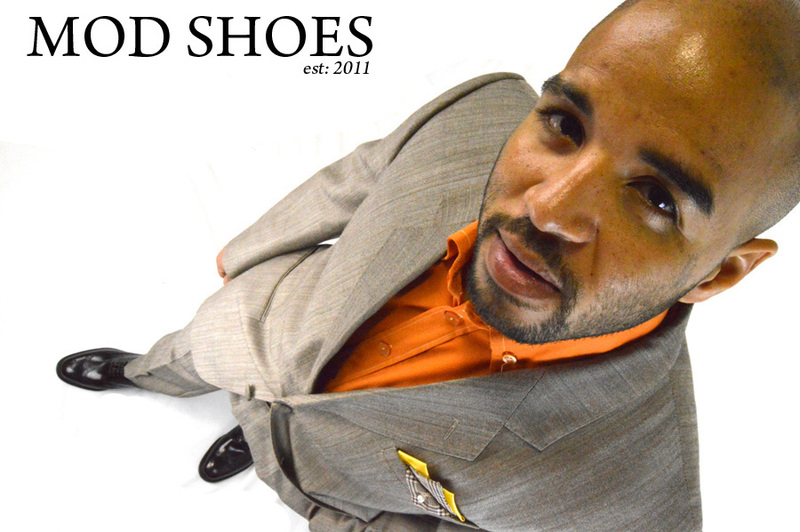 Shoes are expensive these days … go the extra mile and buy these ….you won’t regret it . These shoes bought back so many happy memories of my time growing up in the days of The Ivy Shop .As teenagers we would get the steel rims fitted on the heels . I had my original ones for years . My real memory is the price ! .. In my school days I lent my ‘best mate’ £9 to buy a pair .. I never got it back !! I’ve bought many pairs from modshoes but without doubt the best so far and moddest are the Jeffrey West tan weavers,comfortable and smart,so good I bought them twice!! Not the cheapest shoe out there but the quality is worth every penny. I bought the oxbloods and definitely feel the mutts every time I wear them, treated myself as a Birthday present and chuffed to bits with the Brogues and the Mod Shoes service. Easily the best pair of shoes I’ve bought! They look the business and they feel superb on. 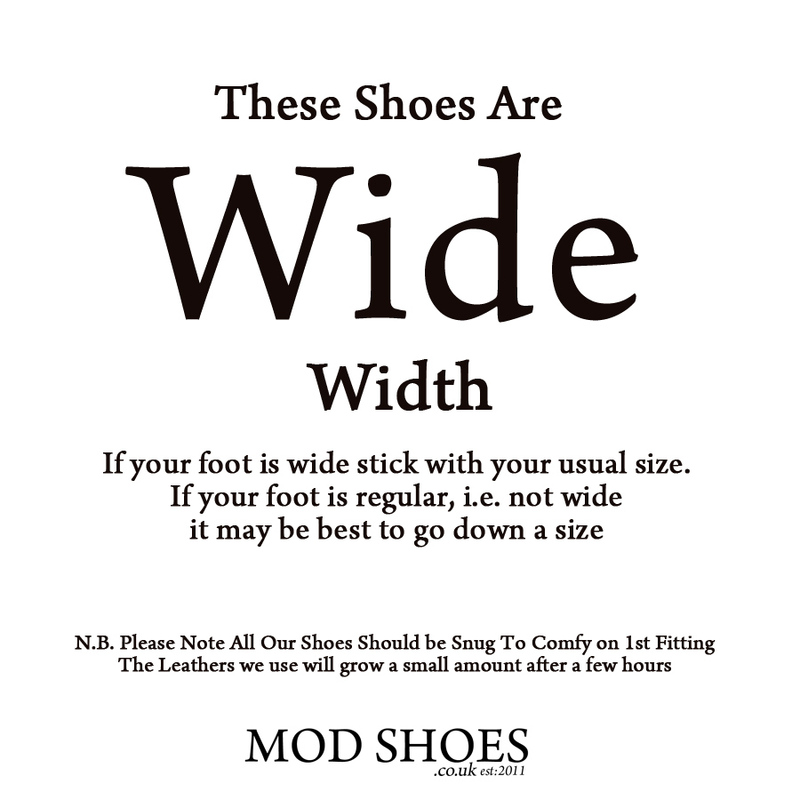 Great customer relations from Modshoes and with sound advice on size. These shoes will last a long time and check out the youtube video on repairs where very pair is accounted for and repaired like new! 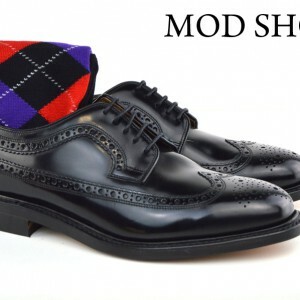 Modshoes, awesome the #1 choice. Pure class , comfy smart very well made . My finest pair of brogues (and I own a few). Excellent fit and can only get better as they are worn in. Sizing is spot on. Quality finish and attention to detail without breaking the bank. 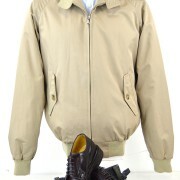 Proudly made in the UK for a relatively modest premium over disappointing offerings from the same brand made in India. 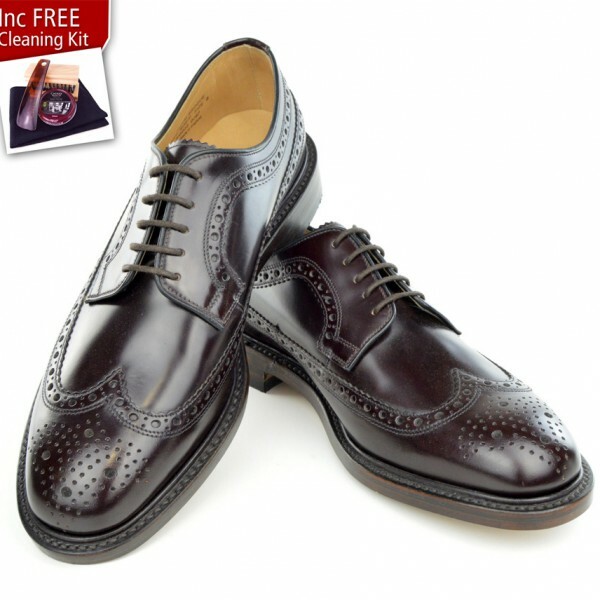 Have to say the service from Modshoes was top notch as well – they kept me informed every step of the way from clicking on the buy button to receiving the shoes in perfect condition at my door. Cleaning kit very much appreciated as well. Thank you!